Our Code: 11368 / MPN: 19847SED3BE. The Casa Med Classic FS features attractive wooden head end, foot board and ful length side rails. It is available with a Metal Mesh Platform or Wooden Slat Platform. Includes delivery & installation. It features electrically operated backrest and knee-break adjustment and the height is variable between 40cm and 80cm. The position of the foot section can be altered by ratchet telescopic fittings and all mattress retainers can be removed if required. 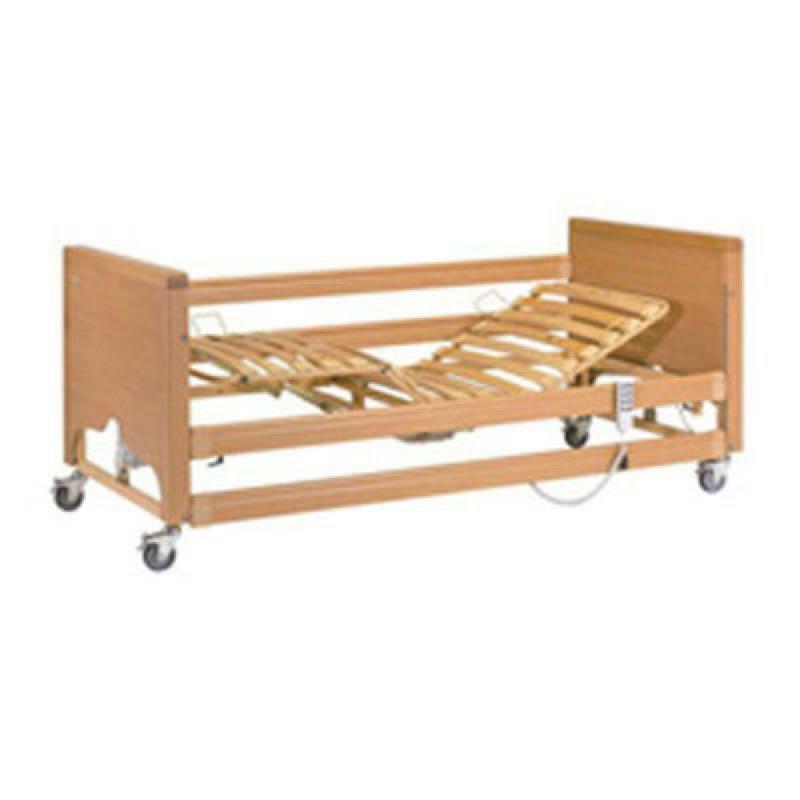 The bed has been designed and tested to take a maximum user weight of 140kg (22st). Available with Metal Mesh Platform or Wooden Slat Platform.